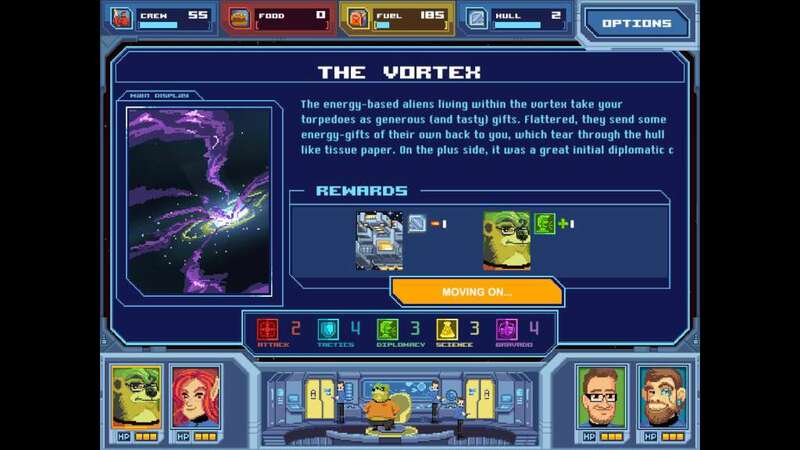 Orion Trail is a single player choose-your-own-space-adventure where you must rely upon your wits, your officers, and your ship to cross the deadly Orion Trail. From the moment humanity first looked up at the stars, we’ve dreamed of what wonders might fill the dark expanse of space. We’ve dreamed of exploring beyond the reaches of solar system. We’ve dreamed of Warp Weasels. Dare to dream with us. 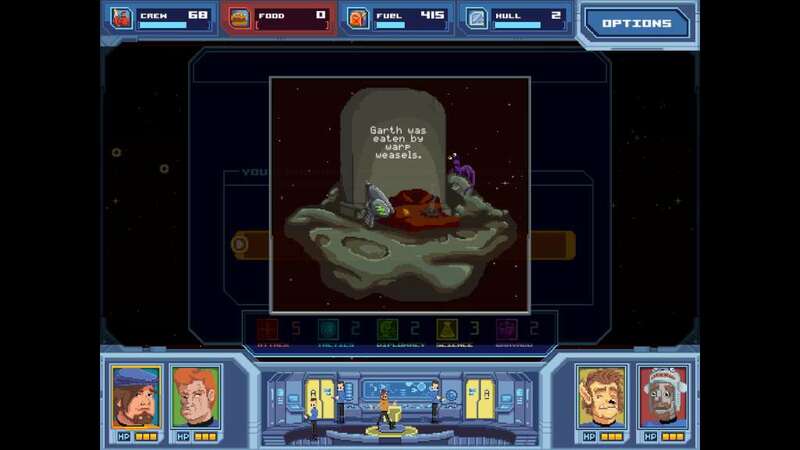 Dare to play Orion Trail! 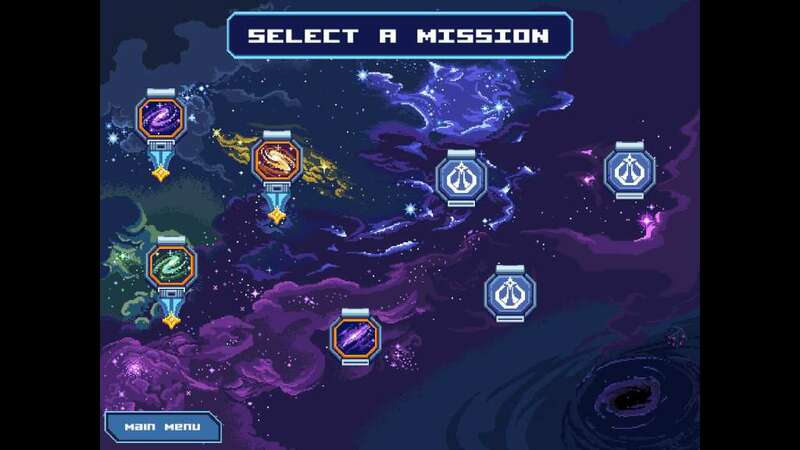 Draft your equipment, captain, and crew from limited pools at the start of each run. 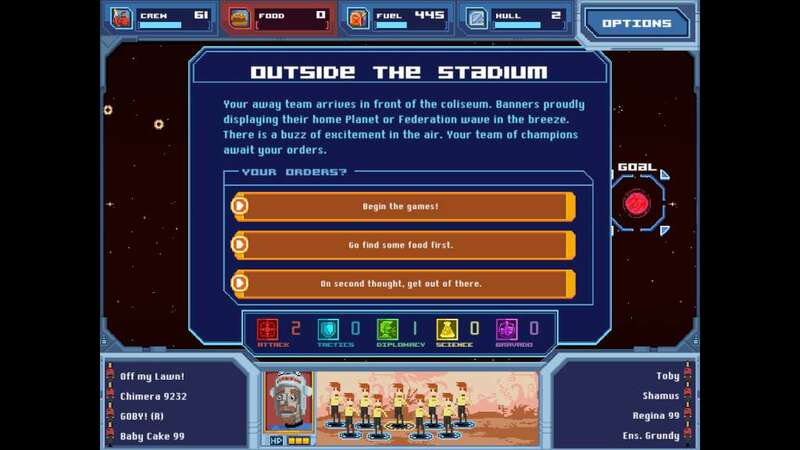 Manage your Food, Fuel, Hull, and Red Shirts. 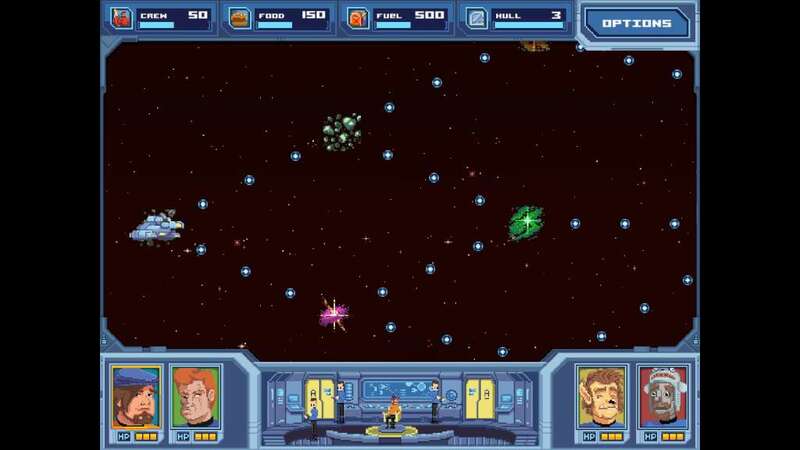 Run out of any, and you’ll be in deep space trouble. Play to your strengths! Each captain, and officer provide different bonuses to each kind of encounter. Deal with the consequences of your actions! Each choice you make will affect your stats and resources in a variety of ways… and some outcomes can help (or hinder!) you for the rest of the game. Tons of random encounters, each with a bunch of options and outcomes. You’ll probably never encounter the same thing twice! 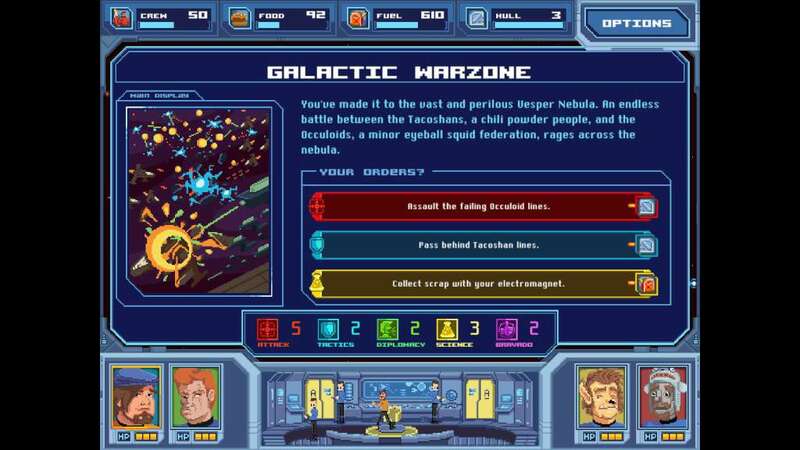 Go face to face with Warp Weasels, Alien Diplomats, Time Paradoxes, and the alarming Spacesquatch!